The Marshall County Solid Waste was formed in March of 1991 to reconcile the abundance of materials entering the waste stream. In 2004 the Recycle Depot was added to accommodate household hazardous and problem wastes. In order to comply with and hoping to exceed the State of Indiana’s goals, a twenty year plan was formulated. In accordance with House Enrolled Act 1240, HEA 1240 and Senate Enrolled Act 25, SEA 25, the plan was designed to reduce the amount of solid waste being generated and disposed of in landfills. To accomplish objectives of the plan, the district established programs to educate and promote the importance of the 3R’s (Reduce, Reuse, Recycle). The District’s plan eventually met with the approval of the Indiana Department of Environmental Management (IDEM). In addition to the goals of reduction, the plan called for provisions to assure the disposal capacity of the remaining solid wastes generated in the District for the next twenty years. The District is governed by a seven member board composed of local elected officials. The Board holds monthly meetings and has the responsibility of approving all financial matters, hiring staff, creating policy, and adopting ordinances as needed to carry out the District’s programs. The Citizen’s Advisory Committee (CAC) is a group of representatives from the solid waste industry, environmental groups, educators and citizens of Marshall County who are knowledgeable and interested in environmental issues. The CAC meets every other month to assist the District in achieving its goals. If you are interested in becoming a member, please contact the District office. 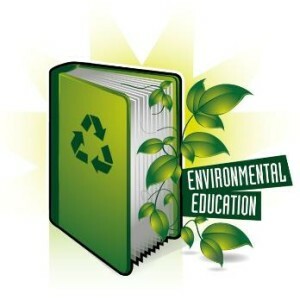 To achieve conservation of natural resources, environmental preservation, encourage recycling efforts, provide opportunities and guidance for waste stream reduction, and increase awareness of proper hazardous waste disposal. The M.C.S.W.D. developed a comprehensive solid waste management plan that will protect the environment and fulfill the statewide waste reduction goals. To accomplish these objectives, the district has identified and designed programs to educate and promote the importance of the 3R’s (Reduce, Reuse, Recycle). the amount of trash you produce. items that cannot be recycled. Clothing, furniture, appliances and toys might have more life to them. If you can’t use these items, give them to someone who can. metals, plastics, glass and paper into new products.